What’s the Difference Between Commercial and Home Composting? Do you compost at home? If so, that’s great! But if not, don’t worry – a composting service is coming to a neighborhood near you. Some cities are already providing their residents with curbside pick-up services, and now California will be mandating commercial composting by January of 2016. Composting, whether in your backyard or through a service, shouldn’t be a hassle. The benefits are all too great to dismiss, and it really isn’t too much trouble. Keep in mind that there are far more troubling issues to deal with than having to sort our waste at home. Did you know that meat, bones, oil, milk cartons, cardboard and dairy products can all be composted? In fact, any item that is plant (including the PLA corn plastics) or animal based can be composted. 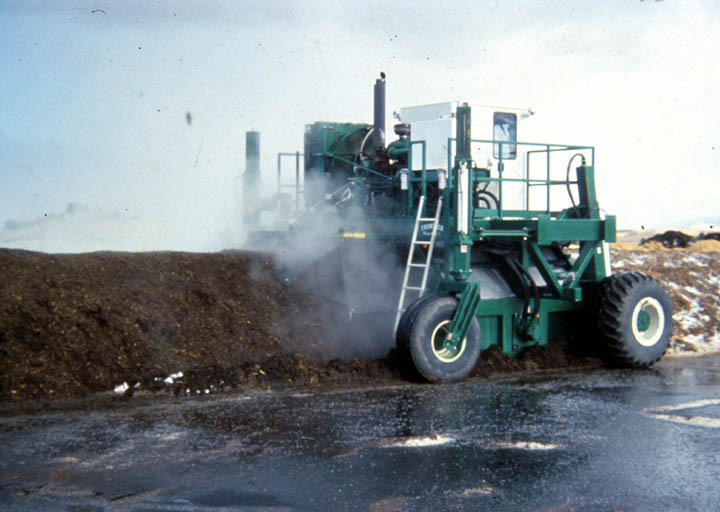 While it is not recommended to compost meat, dairy, or fish scraps at home, commercial composting facilities have special equipment to break them down in a pre-processing phase, allowing for this material to go through the composting process. As I touched on when I discussed compostable tableware, there is a difference between backyard composting and commercial composting. EPA explains that at the commercial level, chippers, grinders and mixers are involved in a pre-processing phase that breaks down dense materials and makes sure the materials reach certain conditions. Organics are also screened to separate out large materials (like branches) and non-organic materials (like plastic bags). This process usually does not happen in a backyard setting, though some people do break down bulky materials with their lawnmowers. The pre-processing phase is also key because it chips down the compostable tableware into smaller, more manageable pieces for the microbes to break them down further. Waste Less Living relies on a commercial composter for processing the food scraps and products it recovers from the events and parties it services. There is no difference between soil produced from a commercial composting facility and soil produced from backyard composting – they are equally beneficial and nutrient-rich. 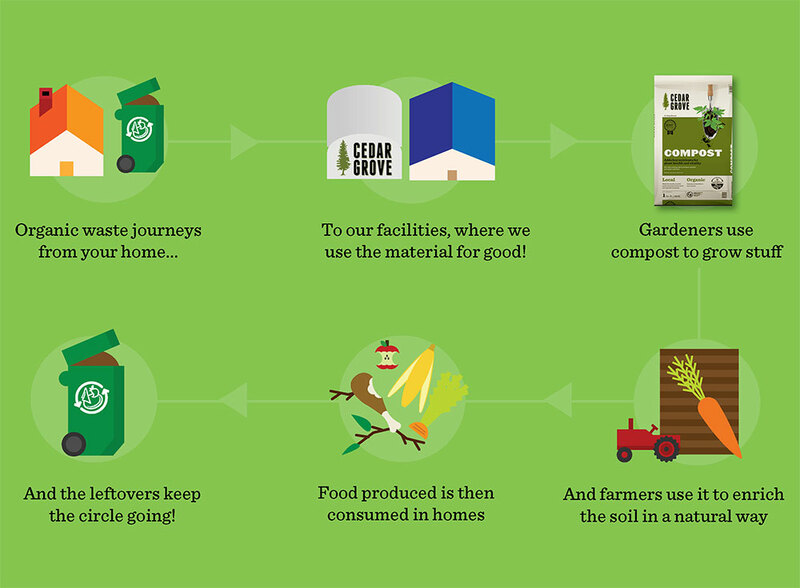 In order to build local infrastructure and make commercial composting more widespread, groups like Waste Less Living need the support of people and organizations that promote the practice of composting both at home and at the commercial level. 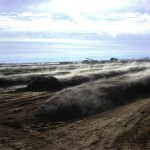 It is time to get serious about composting organic waste. The United States generates more than 34 million tons of food waste each year, making up 14 percent of the municipal solid waste stream, according to EPA. In California alone, compostable organics make up 30% of California’s overall waste stream, contributing over 12 million tons annually to our state’s landfills. It is essential to come up with alternative methods for recovering waste that are renewable and sustainable. An important way to start is by bringing composting to more cities, businesses and schools. With support from people who are already in favor of composting, we can educate others and begin building a long-lasting system. Pasadena’s Zero Waste Strategic Plan aims to divert 90 percent of the city’s waste from landfills, so businesses, schools, and families will all have to do their part to increase composting. Restaurants are especially key in recovering food waste, and along with special training, they will have to make an extra effort not to contaminate recoverable items. If everyone makes it a priority to get commercial composting into Pasadena at a higher level, we can successfully achieve this goal. An excellent example of resource conservation is happening right here in L.A. – as well as across the country. The Urban Food Alliance, founded in 2012, is a group of six of the largest school districts in the U.S. (New York City, Los Angeles, Chicago, Miami-Dade, Dallas and Orlando). Together, the schools serve 2.5 million meals per day, and an NPR story from June shared that they recently announced that they will be replacing their polystyrene lunch trays with compostable lunch plates. Instead of polystyrene, a petroleum-based plastic that remains in landfills for centuries, the new plates will be made of recycled newsprint (which breaks down in weeks in a commercial composting facility). The program also aims to help convince cities to develop more composting facilities. Prior to my research and interactions with Waste Less Living, I really didn’t know a lot about commercial composting. In the environmental club at my school, we have discussed composting systems similar to backyard composting, including worm bins, but so far, nothing has really gotten off the ground. I had also heard about cities such as Palo Alto enforcing waste separation requirements for residents (in an effort to go zero waste), but I didn’t totally understand what that meant. I think that a lot of other people also are not aware of the options for cities or larger areas. In order to enact change, we have to educate the public. The good news is that there are some options for potentially bringing composting to more cities and urban centers. Earth tubs are on-site food waste composting vessels that can mix, aerate and biofilter compost in one tub. They are good for schools, markets, and restaurants, but similar technology on a larger scale that is already used in the agricultural industry may also be available for cities. With careful environmental planning, cities could have modular systems that they would be able to add onto. Waste Less Living believes there is a better, local alternative, and with your support, we can work towards a more sustainable future. ← What Does the Hauling Franchise Have To Do With Composting?